Scanners for Information Look-up, Routing and more. FOX IV is an expert in integrating labeling systems. 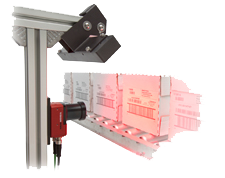 Most labeling systems include some type of scanning and/or label verification. Utilizing scanners, systems are able to look up order information, capture shipping information and be an integral part of the routing/shipping process. 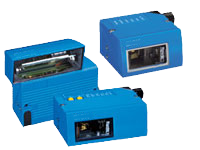 Verification and vision systems include ensuring label application, accuracy of placement and readability. FOX IV’s integration specialists are able to integrate systems utilizing the customers’ preferred scanning/verification technology or supply scanners and verifiers suited to the application. Custom HMI’s, outputs and data transfer protocols can be supplied to work within given application parameters. FOX IV works with most major scanner/verifier suppliers to ensure compatibility of the labeling system with the balance of the production environment. We can supply scanning systems for most applications.